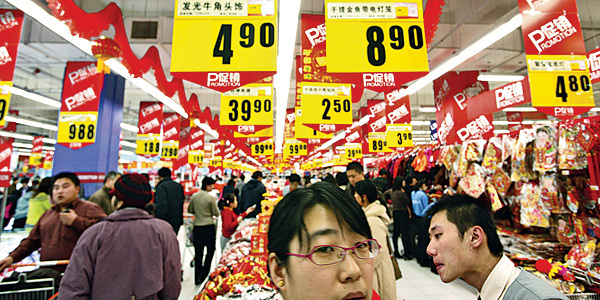 Can China’s Consumers Pump Up Growth? We’ve all been hearing about how the Chinese economy is slowing. But some observers may be missing a major transformation underway in China. The Chinese government is trying to transition the economy from one based on manufacturing and industrial production to one driven by the consumer. Andy Rothman, Investment Strategist at Matthews Asia, an investment firm focused on growth and income opportunities in Asia, argues that the long-awaited rebalancing of the Chinese economy is well underway. “For the first time ever, services and consumption accounted for over half of China’s GDP—an important milestone in the rebalancing process,” he says. Rising incomes are sending Chinese consumers on a spending spree. Roughly 49% of China’s urban population has moved into the ranks of the middle-class, according to the Boston Consulting Group, allowing them to spend more on imported goods and services. “Those consumers started buying products like Dove shampoo from Unilever PLC and Crest toothpaste from Procter & Gamble Co. rather than local goods,” reports The Wall Street Journal. Consumer spending growth looks strong (see table above, compiled by researchers at Matthews Asia). The question is whether China’s income growth and consumer spending will be strong enough to replace its weakening industrial muscle. If so, investors could be underestimating opportunities in this giant economy. If not, the economy could make an uncomfortably hard landing.